Have you found your craft? Or are you moving too fast to notice? Fear can propel us forward or hold us back. Failure, rejection, and the unknown can keep us in our comfort zones with a false sense of satisfaction. Spiritual growth comes from conquering fear and pursing your true calling. We're plugged in 24/7, but are we connected to our inner self? Beyond the digital noise from our multiple screens and streams of information, a new definition of meaningfulness exists. We are more than our Google calendars and inboxes. Imagine that you are doing what you’re meant to do. 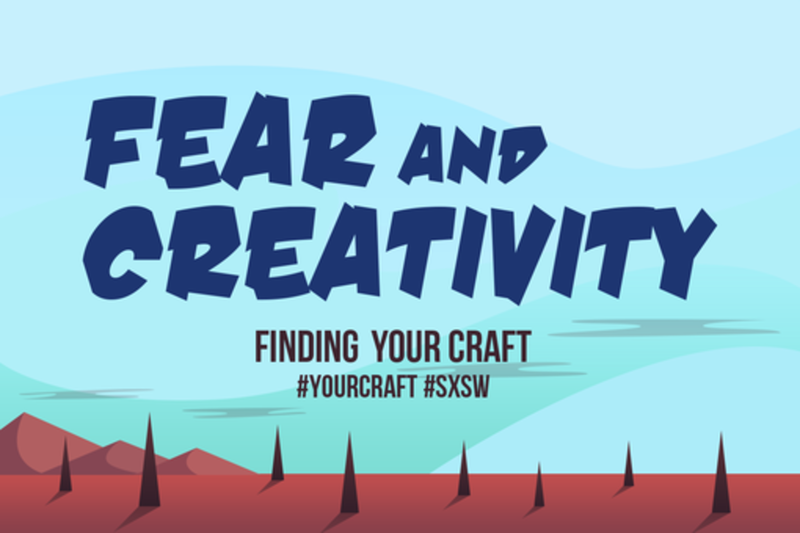 Discover what’s holding you back at this panel that will explore how fear and creativity play roles in the pursuit of finding one's craft. Our panelists have backgrounds in fashion, art, and technology, and will cover strategies so you can make time for the things that define you as a creative person...all within a world that never stops moving. Adam Marelli (b. 1980) | Artist & Photographer based in New York City (USA) | graduated from New York University (sculpture & photography) | Apprenticeship with a master builder Mark Ellison (10 years) and zen monk Fujin Butsudo (7 years) before opening his studio | Member of The Explorer’s Club AR’13 | Exhibits sculpture and photography internationally | Represented by Invisible-Exports | Instructor at Leica Akademie (NYC) | Runs international photography workshops where he teaches the lost lessons of classical design | Works and writings featured in NY Times, GQ, Forbes, The Gothamist, Art Photo Feature, Doc! Photo, Leica Blog, Phaidon Press, Origin Magazine. Helen Todd is CEO of Sociality Squared, a full service social media agency based in New York City helping brands organically grow loyal and engaged communities since 2010. Among Helen’s accomplishments, she has a Master’s Degree in Integrated Marketing Communications from Emerson College in Boston, Massachusetts, has won a WOMMY award from the Word of Mouth Marketing Association, and also has work featured in the Facebook Studio Gallery which recognizes the most creative, innovative, and effective marketing that makes use of the Facebook platform. Helen has been featured on Forbes.com, AllFacebook.com and on Wired.com’s “The Hopkinson Report” in addition to being a Jay Chiat Awards judge and has spoken to MBA classes at schools like Xavier Williams College and NYU Stern Business School. Jey is a Fashion-Music-Art-Obsessed, Business/Brand Builder, Strategist, Analyst, Editor, Writer, Consultant, Financial Engineer, Culture Vulture, Friend, Lover, Thinker. His aim is to blend the art of business with the art of creativity. Jey works at MyÜberLife Management Consulting Group, NYC base, who offers business advice and solutions to fashion, music, & arts-based companies. MUL Group provides advice, strategy, and logistical support, to start-ups, brands, agencies, and key industry stakeholders. Jim Hopkinson is an author, blogger, podcaster, speaker, and teacher living in New York City. His focus is on career development for the new economy, showing people how new media, technology and branding are changing how people look at their career and lifestyle. He is passionate about sports, obsessed with technology, immersed in social media, dedicated to running, and energized by the city.